The iPhone has an unusual problem. Its UI is fast and smooth enough that you want to browse the web on it. However the device is cramped enough that you don’t want use it for any serious web browsing. If you’re just looking to quickly read something it’s ok but logging in to websites, or interacting with a more complex web app is just a pain on a screen that small - regardless of how fast the device is. Apple’s solution is to turn you toward apps, or sell you an iPad. 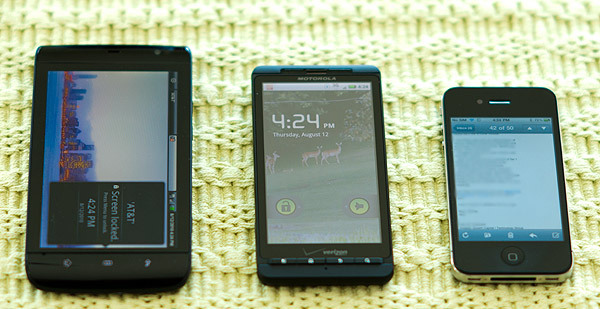 HTC and Motorola provided an alternative: increase the screen size of their smartphones. Dell took it one step further, and for some reason called it the Streak. 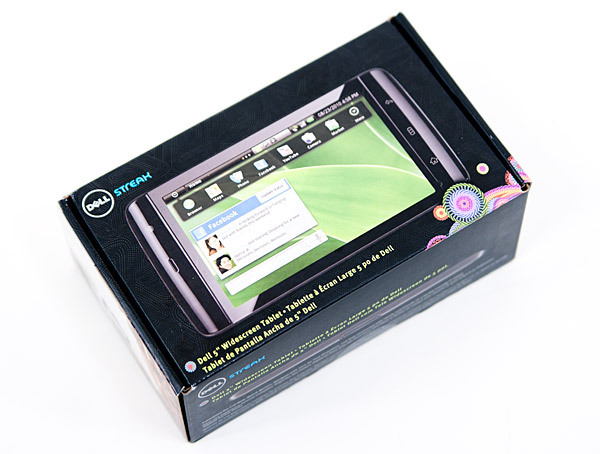 When I first laid hands on the Dell Streak (originally called the Dell mini 5), I had been struggling with editing an AnandTech article on the iPhone 3GS in a Las Vegas cab. I believe the first words I uttered were - I would totally carry this. The 5” diagonal screen gave me enough screen real estate that interacting with web pages isn’t a pain. It’s not the same experience you’d get with an iPad, but it’s maybe 60% there. And unlike the iPad, the Streak can double as a cell phone. Text is big enough where I found myself reading PDFs, emails and web pages more on the Streak than I would on any other smartphone. It felt like a true productivity device. Small enough to carry in my pocket, but large enough for me to get work done. 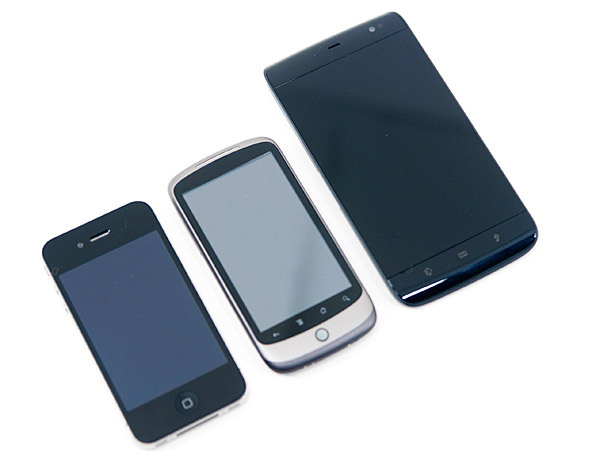 There’s a clear benefit to having a larger device - it’s easier to use. Text is easier to read, web pages are easier to navigate and presumably the keyboard is more pleasant to type on. While the Streak definitely enables the first item on the list, the rest aren’t as clean cut. I wrote in the EVO 4G review that the EVO wasn’t that big. Well, the Streak is. It dwarfs even the Motorola Droid X. The Streak is very well built. I’d argue that it’s up there with the Nexus One in terms of build quality. There’s no learning curve for Dell here. The design, styling and build quality are all top notch. The Streak is thin. It’s the only thing that makes the 5” screen size acceptable. If it were any bulkier the device would be a pain to carry, but at 0.39“ (9.98mm) thin there’s potential here. I put tons of talk time on the Streak, using it as my only phone, and the size is a non-issue for using it as a cell phone. Granted you look absolutely ridiculous holding it up to your head, but it works and it isn’t uncomfortable. If anything, it’s more comfortable resting the Streak on your shoulder and putting it up to your ear than a normal smartphone since there’s so much more surface area. This is largely due to the fact that despite the Streak’s size, it only weighs 7.76 ounces (220g) and is thinner than a Nexus One. The Streak is pocketable if you’re a guy that wears normal pants. Womens’ pants aren’t quite as accommodating, but practical purses will house the Streak without complaining. While I love using the Streak, I’m not a fan of carrying it places. It doesn’t feel heavy in my pockets, it just feels big. And there usually aren’t good places to keep the Streak in the car. 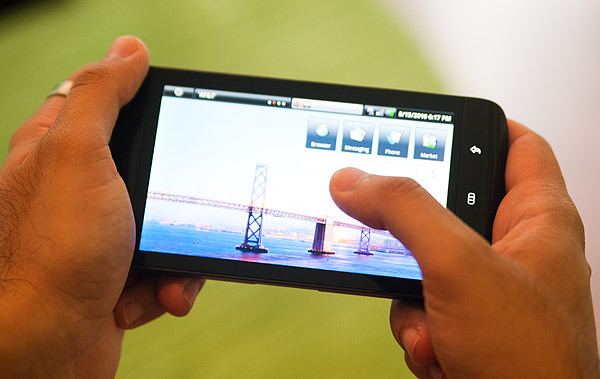 It’s easier to carry around than an iPad for sure, but not compared to the EVO 4G or Droid X. My only complaint about the design are the physical buttons on the Streak. They are all nondescript. The worst is the physical shutter button which attempts to mimic a digital camera’s shutter release by focusing when you have it pressed down half way. That part works fine, but try to push it down all the way to activate the shutter and take a picture and you’ll find that you have to push down way too far. The button actually has to recess into the Streak’s housing to trigger a photo, which is not only awkward to do but also tends to cause you to move the phone a bit before you take your photo. There’s more than enough surface area for Dell to have used beefier buttons on the Streak. These slender creatures seem better fit for something Nexus One sized. They don’t work with the design in my opinion. 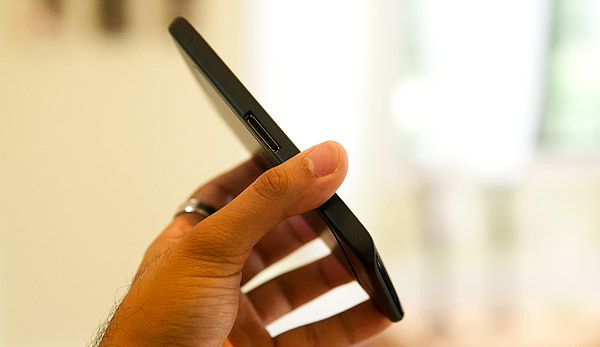 There are only three fixed touch buttons on the phone: home, menu and back. Their icons don’t rotate, making it clear that Dell sees the Streak as primarily a landscape device. 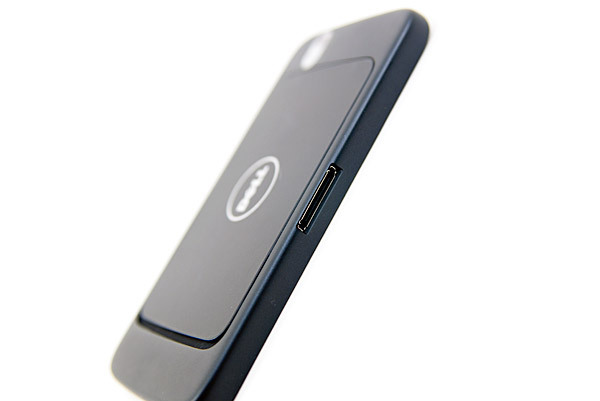 There’s no optical or physical trackball on the phone, similar to the EVO 4G. You get left and right arrow keys on the virtual keyboard to help you navigate text boxes with granularity. Along the bottom of the device is a 30-pin connector for power and USB. It’s like an iPhone dock connector but thicker. The screen flows into the surrounding border in a manner I can only describe as being Apple-like. Dell really did its homework in the design of the Streak and the result is a good looking device. At the risk of sounding like somebody’s grandpa, Dell should’ve called it the Sleek instead. Har har. Getting access to the battery, SIM card and microSD slot is the best out of any Android phone I’ve used. There’s a thin back panel that you have to slide up to remove. Sliding the panel up requires enough effort to feel secure, but not enough effort to make it frustrating. This is the porridge you’ve been looking for Goldilocks. As long as you take care to line up all of the little latches before sliding the panel back on, you’ll maintain the same secure feel you got when you first opened the device. No rattles, no squeaks, nothing - the Streak is solid. There are a pair of gold contacts that touch the metal battery cover. Remove the cover and the Streak turns off. The battery has a faux aluminum finish on one side but is otherwise a pretty standard lithium ion battery. 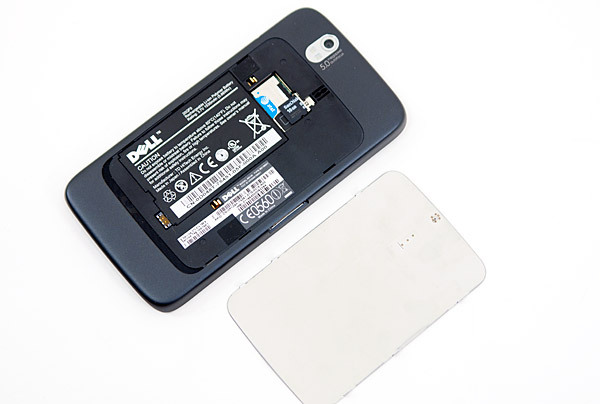 You’ll need to remove it to gain access to the SIM card and microSD slots. The Streak ships with a 16GB microSD card installed. The microSD slot isn’t spring loaded so you just push the card in or pull it out to remove. You also have 2GB of flash on board for apps, bringing the total out of box storage to 18GB. 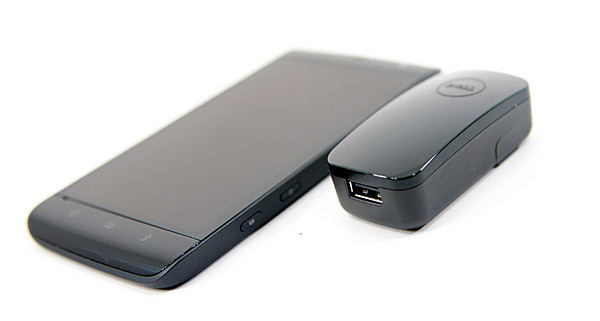 Dell bundles the streak with a 30-pin Dell dock to USB cable, as well as an AC power adaptor that you plug the USB cable into. The power adapter has foldable prongs but it’s slightly long. The phone is only available through Dell's website for $549.99 or $299.99 with a 2-year contract from AT&T. Update: Dell just confirmed that the Streak is carrier locked to AT&T in the US regardless of whether or not you sign a contract. Hey, thumbs up for actually acknowledging HPalm still exists, unlike HP themselves.. heh. The streak seems to be pretty much a clone of what Archos released back in October or so of last year. Form factor is pretty much identical. While the A5 is still stuck at Android 1.6 and doesn't have a built in 3g module (but can tether via bluetooth, for internet access), it does have an incredible media player and hardware acceleration so it will even play 720p HD via HDMI. It also features a dock system so cost of entry is low, customizability high, plus there's an official open firmware available so you can freely install alternative operating systems (but will lose access to some drm functions). This is the perfect form factor. I've been waiting for this much screen realestate. I'm not a kid anymore, so I don't care if a phone takes up my whole pant pocket - I don't mind a bulkier phone to put in my jacket pocket. If only it had the resolution of the iPhone, I am much more likely to watch a movie on a larger screen, than on a smaller one. Enjoy your new streak! It looks like a really nice-big screen. So Anand, just exactly how stupid would someone look if they held this big phone up to their head? I mean, is it big enough that one can expect snickers or gasps from the people at the next table when making a call? How 'bout a pic to illustrate the actual size of that thing in use?